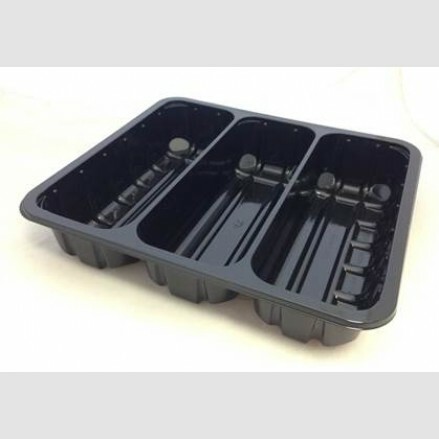 These trays can be simply overwrapped using a standard stretchwrap unit or heat sealed on our BARQ270 machine. This tray offers professional presentation of your BBQ meats and the multi-compartment feature allows combination packs of sausages, burgers, kebabs etc. 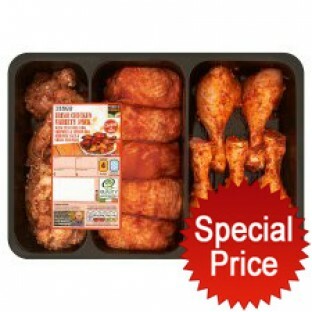 Pack your BBQ products this summer in our exclusive packs. 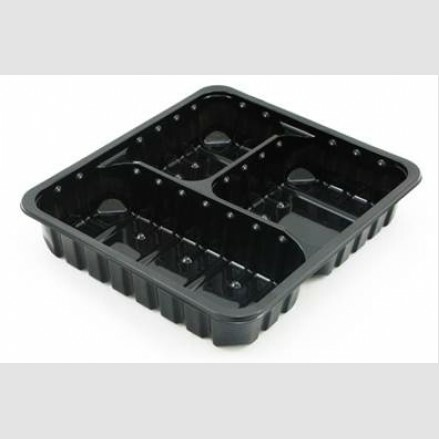 200 per case RPET/PE black barbeque meat trays three compartment with a 50/25/25..
200 per case RTD18-3C black barbeque meat trays three equal compartments. 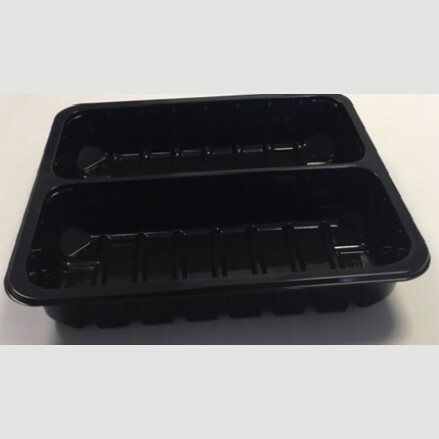 Great ..
200 per case RPET/PE black barbeque meat tray two compartment. 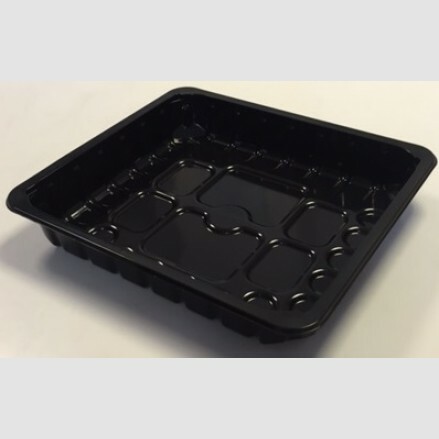 This 270 x 240 x ..
200 per case RPET/PE black barbeque meat tray single compartment. Great packagin..